The future use of so-called ‘supergrasses’ was dealt a major blow today after it emerged that the Public Prosecution Service (PPS) will not take any action against two ‘assisting offenders’ despite evidence that they lied seven times in court. In February 2012, 13 alleged members of the UVF in north Belfast went on trial accused of the murder of UDA leader Tommy English and dozens of other serious offences. UVF supergrasses David and Robert Stewart had previously pleaded guilty to their involvement in a series of crimes, including the murder of Tommy English. The brothers benefitted from the Assisting Offender’s scheme, which saw their 22 year sentences reduced to just three years in prison, in exchange for them giving evidence against their former associates. However, 12 of the accused were acquitted after the trial judge cast serious doubt on the evidence given by the Stewart brothers. Mr Justice Gillen described the brothers as being witnesses of “extremely bad character” who had lied both to the police and the court, not only about their true motivation in becoming assisting offenders but also in their accounts of the crimes. He said the Stewarts had “clearly colluded” in the evidence they gave to the court. While acquitting the accused, Mr Justice Gillen said his judgment was not a criticism of the use of the assisting offenders’ scheme. “That I have not been so satisfied in this instance does not preclude the possibility of guilty verdicts in other similar cases where less flawed witnesses are called to give evidence,” he said. 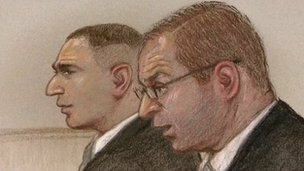 The Public Prosecution Service today confirmed that it had identified seven instances in which the Stewart brothers had lied during evidence. However the PPS has confirmed that it will not take any action against David or Robert Stewart, despite one of the key rules of the assisting offender’s scheme being that the agreement is made void if the offender is found to have lied. Confirming the decision not to ask the court to re-impose the 22 year sentences against the Stewart brothers, deputy DPP Pamela Atchison said: “I have given careful consideration to all the circumstances, and in particular, the detailed judgement of the trial judge, the Honourable Mr Justice Gillen. “I have concluded that Robert John Stewart and David Ian Stewart each knowingly breached the term of his respective agreement during the course of giving evidence. “In relation to the interests of justice, I had to balance a number of different considerations, including the significance and consequences of the breaches of the agreements. 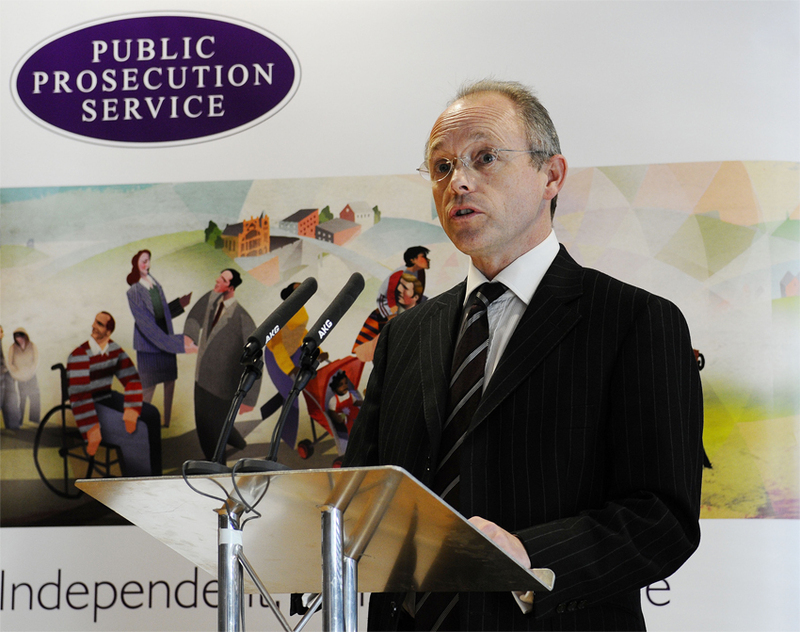 The future use of the supergrass system was made even more confusing today, when at the same press conference DPP Barra McGrory confirmed that another supergrass, Neil Hyde, will have his three year sentence referred back to the court after he was also found to have lied to police. In January 2013 the PPS announced that it would not proceed with charges against a number of suspects charged with the September 2001 murder of Sunday World journalist Martin O’Hagan. 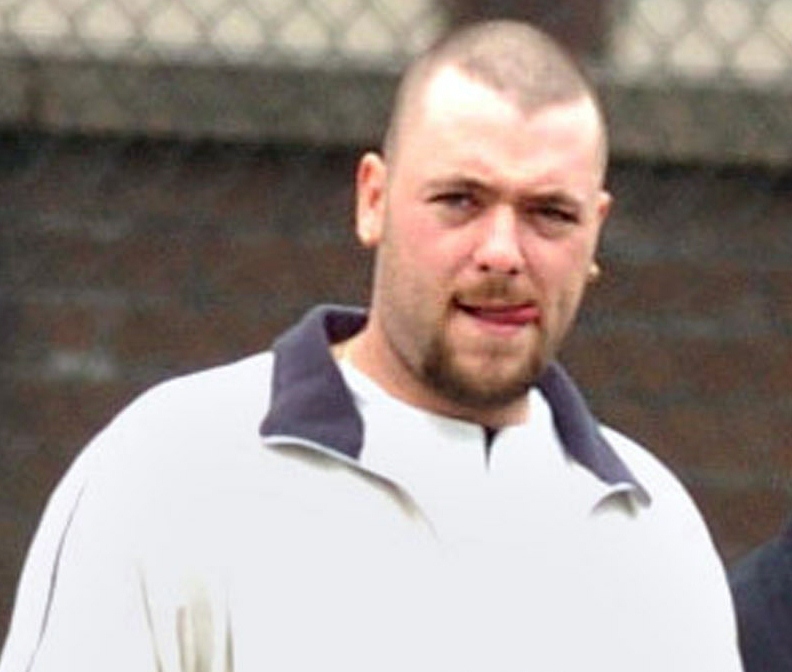 Portadown loyalist Neil Hyde had agreed to become a so-called `supergrass’ against former LVF associates involved in the murder. Although Hyde had originally been a suspect he agreed to become an assisting offender in 2010. He pleaded guilty to 48 offences, including drug dealing, arson, possession of firearms and withholding information in connection with Mr O’Hagan’s murder. He was sentenced to just three years in prison and was resettled in a witness protection scheme. Confirming the decision to refer Hyde back to court, Mr McGrory said: “The specified prosecutor in this case has concluded that there is sufficient evidence that Neill Hyde knowingly breached the terms of his agreement and that it is in the interest of justice that the case be referred back to the original sentencing court. “As this matter is now before the courts it would be inappropriate to comment further." Papers were today lodged in court to have Hyde’s original sentence re-imposed. Today’s decision is also understood to have implications for another future loyalist supergrass case, in which former UVF ‘brigadier’ Gary Haggarty has agreed to give evidence against the paramilitary group’s leadership.